All students at the Eastern School Of Fretted Instrument Repair must be at least seventeen (17) years of age on or before the first day of class. Students must possess a high school diploma or a General Education Development (G.E.D.) diploma. Ninth(9th) grade reading and math level as measured by the Tests of Adult Basic Education (TAABE) or another test approved by the USDOE. An interview with the admissions officer to review the TABE scores of the student and discuss any prerequisites needed for enrollment. All students will be interviewed to ensure student is medically sound and in good legal standing, documentation may be required. The request for a leave of absence must be submitted to the director in writing. The request must have the date that the student will begin the leave and the expected date of return to classes. Leaves of absence will be honored within the student’s Enrollment Agreement contract and will not extend beyond the contract. Should a leave request take the student beyond the contracted completion date, the student may be subject to re-entry under a new contract or an amended contract. If the student does not re-enter within the contracted schedule and does not arrange for a contract amendment then the student’s contract will be terminated. NOTE: Each individual situation will be handled privately. 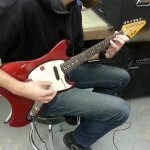 The Eastern School Of Fretted Instrument Repair will make every effort to help students meet their educational goals. It will be necessary to meet with the director before returning to class. Leave of absences that extend beyond the original contract may be subject to additional tuition costs. Eastern School of Fretted Instrument Repair records the daily attendance of each student in accordance with state guidelines. Records of students’ attendance will be kept on file and are available for student review. This school requires students to be in attendance for 80 percent of the program. Absenteeism for more than 20 percent of the total program constitutes cause for dismissal. Students who have greater than 20 percent absences will have their case reviewed by the school director with the likelihood of being dropped from the program. Students who realize that their absence will extend beyond the 20 percent absenteeism have the option of requesting an official leave of absence. Hours lost due to cutting class will be recorded as absences. Students are responsible for making up time lost. Since each skill set taught in this course builds upon the previous lesson, excessive time lost destroys the effectiveness of the course. Students will need to meet with the director before returning to class. 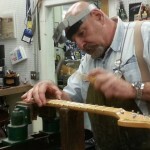 All Eastern School Of Fretted Instrument Repair students will have the opportunity to make up missed work and testing during the 20th and final week of the course. Due to the progressive nature and step-by-step instruction delivered by the Eastern School of Fretted Instrument Repair, it is imperative that students are ready to learn at the very beginning of the instructional day. Any technique that is missed can be the cause of the failure for an entire instructional block. Students arriving late for class are interrupting the instructor and other students. The following recording system will be used for tardiness. All students are encouraged to arrive at school at least 15 minutes before the start of class. Sexual harassment including creating a hostile environment and/or coercing or threatening an individual to perform sexual favors in return for something. All types of proven dishonesty, knowingly furnishing false information to the school, forgery and alteration or use of school documents of identification with intent to defraud. Intentional disruption or obstruction of teaching, administration or any school activities. Physical or mental abuse of any person on school premises or at functions sponsored or supervised by the school. Theft or damage to the Eastern School Of Fretted Instrument Repair premises or damage to the property of a member of the school community on the school premises. Violation of the law on the Eastern School Of Fretted Instrument Repair premises in a way that affects the school community’s pursuit of its proper educational objectives. This includes, but is not limited to, the use of alcoholic beverages and/or controlled dangerous substances on school premises. The school director will notify the student in writing should it become necessary to dismiss the student. The dismissal letter will contain the date and the reason for dismissal. It is the responsibility of the dismissed student to notify the appropriate institution should the student have a student loan or is receiving financial aid. It may be possible for students who have been dismissed due to missing more than 20 percent of instruction time to re-enter the program if the student appeals in writing to the director and includes a reasonable explanation. Each case will be considered on its individual merits and the decision of the director will be final. Likewise, if a student is dismissed for not meeting the financial responsibilities to the school, re-entry will be considered if a reasonable explanation is submitted to the director in writing and new arrangements are made to meet the student’s financial needs. Again, the final decision will be made solely by the director of the school. Any student that is dismissed for not adhering to the school’s rules, regulations, policies or code of conduct will not be admitted re-entry under any circumstances. Since the program at the Eastern School of Fretted Instrument Repair is built upon the strengthening of skill sets over a 20 week period, hopefully any previous training would only help to enhance the learning process. However, no official credit will be given for any previous training. The school director will notify the student in writing of the appointment date in which the concerns or appeal will be addressed. Every effort will be made to bring an amicable closure to the concern. The student will be notified in writing within five business days of the outcome of the meeting. The decision of the director is final. All students will be tested for technique competence at the end of each instructional block. The means of evaluating a student’s performance will be both manipulative and oral. Comprehension and completion of each technique will be based on a PASS or FAIL. Any student who fails may retake the test during Week 20. Any student who fails to complete any block of instruction successfully will receive a Certificate of Course Completion with specific techniques they are competent to perform. Any student who successfully completes the entire course will receive a Certificate of Graduation and a detailed explanation of course requirements with a stamp of “Successfully Completed” on each instructional block. If a student is unable to complete the program due to an illness or other serious problem, every attempt will be made by the director to accommodate completion of the program at another time. If, however, a student does not complete the program due to negligence or apathy, the student will not receive a Certificate of Course Completion or a Certificate of Graduation and any financial payments will be forfeited by the student. Any student that is struggling with proficiency in the program will be eligible for additional one-to-one instruction time. All students are welcome to practice their skills daily between 4 PM and 6 PM. Due to the low enrollment and excellent instructor to student ratio, personal attention is easily given. Also, since all skill sets build upon each other, the instructor’s goal will be to identify the student’s difficulty and assist in correcting the problem. The goal is to complete the 20 week program successfully. Assuming the student has good attendance and displays a sincere effort, no official probation will be issued. Any student wishing to withdraw from the school must submit their withdrawal notification in writing to the school director. The withdrawal notification must contain the student’s name and date of withdrawal. It is the student’s responsibility to withdraw officially from the school. Failure to withdraw formally may result in dismissal and additional financial obligations. Student records are maintained by the school secretary and are available for review by the student at any time. Students are encouraged to submit updates to their records, such as address changes and/or changes in financial aid. All records are private and are handled with confidentiality and are kept in a secure file cabinet in a locked room. Students who wish to cancel their enrollment in a program or at the school must do so in writing. The request must include the date of withdrawal and must be dated and signed by the student. This letter must be received within one week of the withdrawal (5 business days) to receive tuition reimbursement for that week. Tuition reimbursement will begin the week notification is received. It is best to hand deliver the withdrawal letter and have a copy signed by the admissions officer or mail the letter by Certified Mail. All monies will be refunded if the applicant is not accepted by the school or if the student cancels within three (3) business days after the enrollment agreement is signed by both parties, even if instruction has begun. Cancellation after the third (3rd) business day, but before the first class, will result in a refund of all monies paid. Withdraw after attendance has begun is based on the following refund policy for all programs of 300 instructional hours or more. 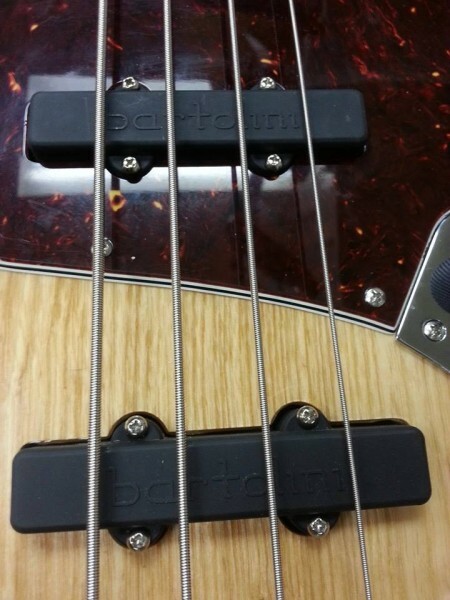 The program at The Eastern School of Fretted Instrument Repair is twenty weeks each. Each day is six instructional hours in length. There are 620 hours for each course. An instructional hour is defined as sixty consecutive minutes of which a minimum of sixty minutes is dedicated to instruction. A student who has a student loan and withdrawals from the program is responsible for notifying the loan institution of withdrawal from the school. This notification should be done in writing. It should include the date of withdrawal, the student’s social security number and signature. Students should maintain a copy of this letter for their files. The Eastern School of Fretted Instrument Repair encourages the development of good business practices in their students. It is to this extent that we remind the withdrawing student that the date of withdrawal on the letter to the director must be the same date as on the letter to the loan institution.